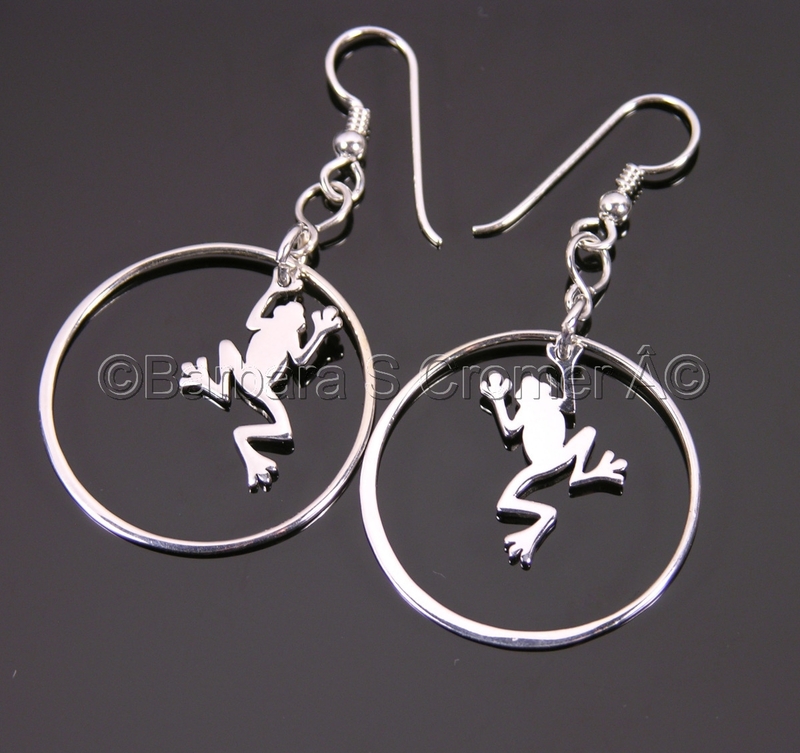 Fun, Sterling silver, handmade frogs, leaping through handmade Sterling silver circles. Finished with Sterling silver french ear wires. 2 inches overall.